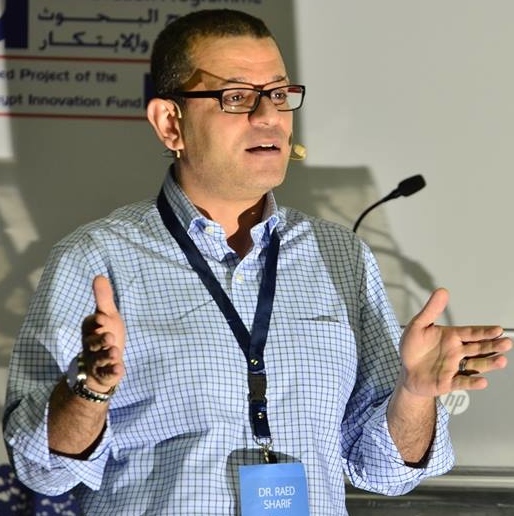 Raed M. Sharif is Senior Program Officer for the Networked Economies program at IDRC’s Regional Office in Cairo. A political economist, Sharif’s research focuses on accessibility and management policies of information resources and technologies and their impact on social change, innovation, and development. For the last 10 years, he has been actively involved in promoting the concepts of openness, inclusion, and empowerment in less economically developed countries through activities related to open data, data-driven innovation and entrepreneurship, open government, open access to scientific information, open institutional repositories and journals, and open knowledge environments. Before joining IDRC, Sharif taught information policy and strategic management of information resources at the Information School, Syracuse University. His past experience also includes research and consultative work with such organizations as the World Wide Web Foundation, the U.S. National Academy of Sciences, the OECD, CODATA International, the Development Bank of Southern Africa, and the UNDP. Sharif holds a PhD in information science and technology from Syracuse University and an MBA in strategic management from Birzeit University.